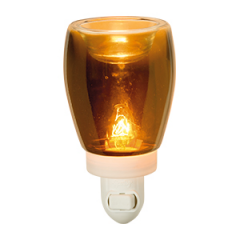 A cozy, inviting red sets the tone for relaxation and comfort with the Scentsy Cranberry Glass Nightlight Plug In Warmer, a softly illuminated fragrance accessory. 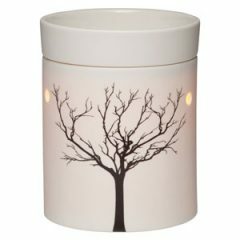 What do you get when you cross an artistic glass vase, a cozy nightlight, and your favorite Scentsy fragrances? 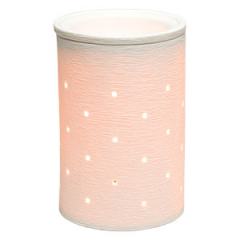 The Scentsy Cranberry Glass Nightlight Warmer, of course! 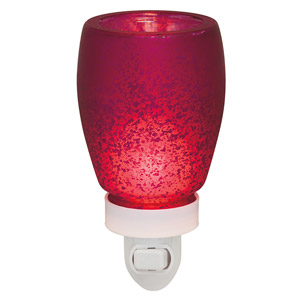 This warm red plug in accessory lights up from within and features playful speckles that dance across the surface in a bubbly silhouette. 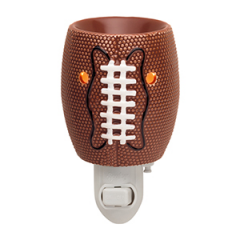 The rich, exciting red hues of fall’s favorite harvest are splashed with speckles and lit up in the Scentsy Cranberry Glass Nightlight Plug In Warmer. 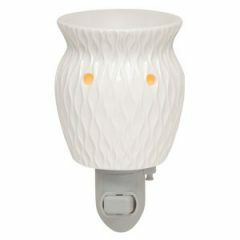 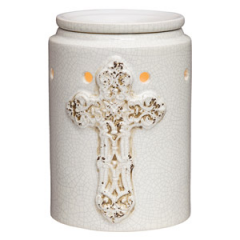 This fun fragrance accessory allows you to welcome guests with handy illumination and your favorite Scentsy blends each time they visit, as well as treating your family to a nose-tempting hint of fragrance each time they walk by. 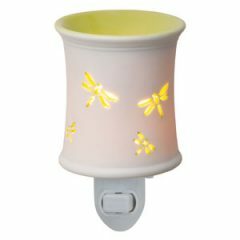 Easy to incorporate into any room – simply plug in at the nearest outlet, no counter or shelf required!